Partnering with NYI means you get a partner with over twenty years of industry experience, a range of best-of-breed hybrid IT solutions and managed services, and a fierce commitment to support your success every step of the way. As a Channel Partner, we consider you a direct extension of our sales team, playing a critical role in delivering exceptional solutions and services. We monitor the market and are constantly updating our Partner Program to meet your needs and the needs of your customers. We provide you with tools for an easy and seamless experience. 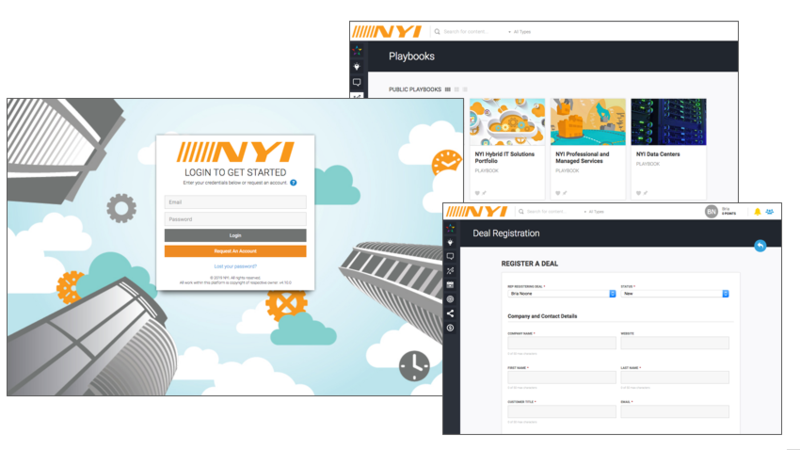 Our new NYI Partner Portal is built on a SaaS platform that offers a centralized way to register deals, monitor pipeline, and access NYI sales enablement, marketing, news and thought leadership material in real-time. The goal of our Channel Partner Program is not only to help you grow your business, enhance your skills and reward your results but to build a lasting and meaningful relationship.